Heavenly Feet Beaded Sandals E Fit is rated 4.8 out of 5 by 4. 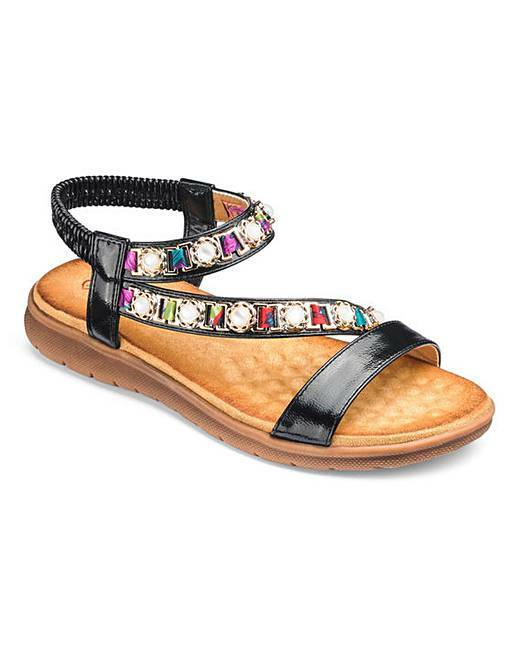 These beaded detail sandals from Heavenly Feet have padded footbeds for supreme underfoot comfort, an elasticated back strap and are finished on a lightweight flexible sole. They will complete any summer outfit or wear with a pair of jeans for a casual look. Rated 4 out of 5 by Sparkleysue from Great width I bought these in gold, they were really pretty and the width was great however they were to big for me in length by quite a bit. I would say size down. I can’t as I’m only a 3/3.5. I just wish they sold 3’s. A lot of the time I can get away with a 4 but not in these. Rated 5 out of 5 by Bacpa2 from Very pretty I haven't worn these yet as they are for my holidays but they fit beautifully and look so pretty on. 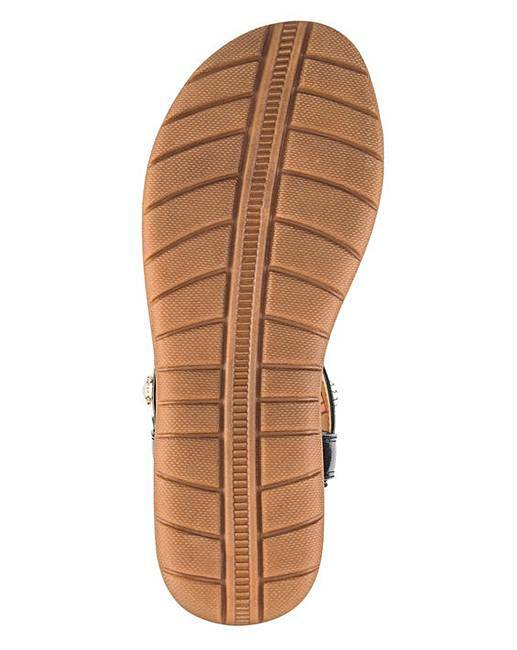 The cushioned sole is super comfy too. Rated 5 out of 5 by Shoe fanatic from Summer sandals with sparkle A comfortable summer sandal great for holidays padded for comfort with a lovely jewel trim .